So tell us more about yourself, who is Marie? I am a blogger & graphic designer. I love blogging & designing blogs for niche, personal, & small business bloggers! I actually started blogging over 2 years ago, with a food blog. I wanted to blog about more than just food, so MerelyMarie was created. It is a blog about many things that interest me: style, hair & beauty, food & recipes, music & entertainment, inspiration, genuine thoughts on life, and learning to be who you are. Comfortable & classic. I like being able to wear the same outfit to different places, and not feel over or under dressed. Refined, monochromatic looks with simple details, or one stand out piece is my current style model. I'm excited about honing it into something more sophisticated, with the tiniest bit of edge. The internet. I love minimal, chic, timeless looks; so, anywhere I see such is where I draw inspiration from. I also really enjoy flipping through J.Crew catalogs. Layers. As much as I like the idea of getting glammed up, I prefer feeling warm & cozy. I also have a bright red coat that I love to wear anytime during the winter, but even more so in the midst of the holidays. Sure! I welcome you to stop by my blog www.merelymarie.com! If you like what you see, please subscribe. I can also be found on Facebook. Thanks Marie! Be sure to check out Marie's blog and Facebook Page! Everyone knows that being a mother and a wife can keep a woman's hands pretty full. As a result, I really admire women who manage to fulfill those roles and stay fabulous at the same time. Shanticka of Ticka- Spoon Full of Sugar is one of those women - one visit to her blog and you will find a woman living a full life while staying fabulous! So tell us more about yourself, who is Shanticka? I'm a 30 something, fun loving wife, mother, sister and friend. I love hanging with friends and drinking wine (we have a monthly gathering). I like movies, walks around the lake (don't laugh, cause it's true, lol), blogging and chilling at home. I started blogging because I found myself in a place where I really needed a hobby. I couldn't find anything that interested me that I wanted to dedicate my time to. 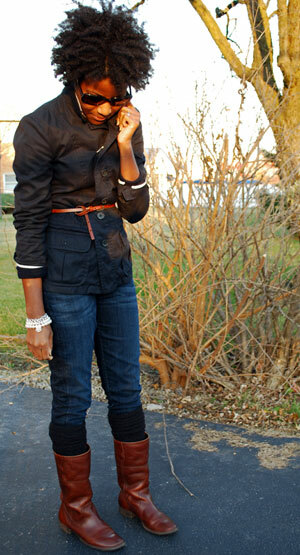 The very first personal style blog that I came across was completly on accident. I did a search trying to find the perfect pair of jeans (which most of us have issues with), and there was "Saks in the City". The personal style blog of a beautiful young lady in Paris. I didn't know such a thing existed! From that day, I was hooked! I looked at as many blogs as I could, then one day... I thought, I could do that too! Why not?! My blog mainly consists of pics of my personal style along with a few random ramblings about my life. 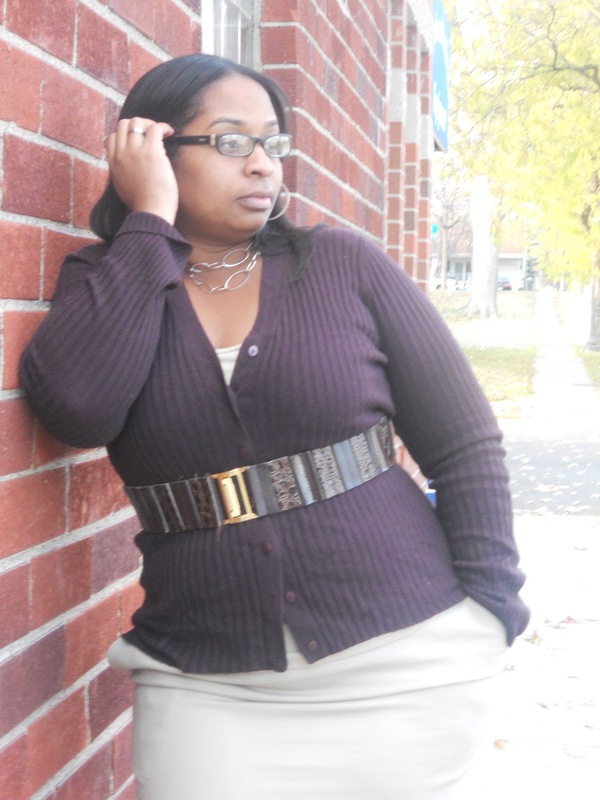 I hope to inspire the everyday working woman, curvy or not to look great while taking care of business and/or kids. 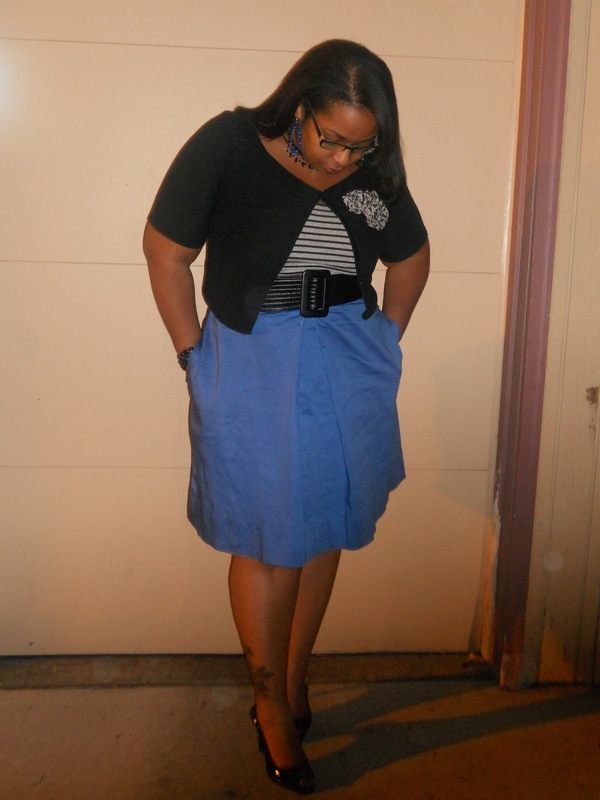 My blog also helps keep my style in check, even when making a run to Target. Because of blogging, I have found more ways than ever to remix things in my closet, and pair certain items with others that I would have never tried before. 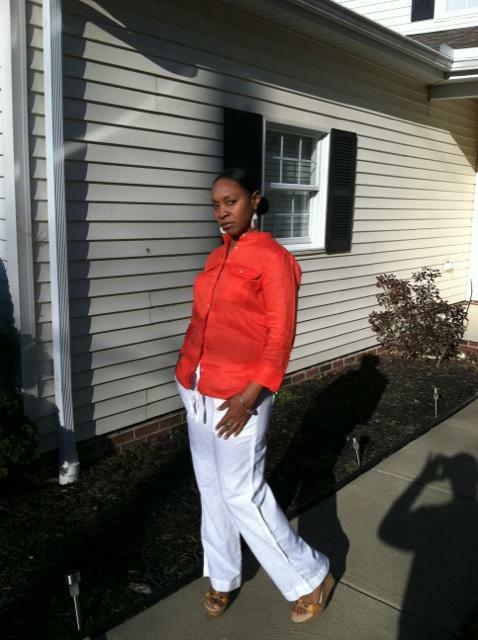 I would describe my style as comfy/cute with a splash of fab! lol! I'm trying more and more color everyday, as I'm usually drawn to earth tones and black. My style inspiration comes from everything around me nowadays. Even my 12 year old daughter! And of course there's my fellow sisters in blogosphere. Since blogging, I have grown to understand the style of others more and more. I see beauty and "style" in pieces that I would have never picked up before. This holiday season, I will more than likely be wearing jeans or leggings, boots and a nice cozy sweater. It will be kept simple and cute, as I don't have any fancy parties to attend =(. I am absolutely in love with blogging, and reading about all of the other fabulous ladies who have taken this on, and put themselves out there for the world to see. Lets keep it up ladies! You inspire me! Thank you Shanticka!!! Please check out her blog HERE. I had the pleasure of meeting the lovely Jewel this past summer through a mutual friend. She is as lovely and beautiful in person as she is in her photos. We hung out together at the Brooklyn Museum First Saturday in July. Jewel was visiting our mutual friend in NY for the weekend. At the time I had no idea Jewel was a fellow blogger! I was so excited when I found out. So here I a am introducing you to Jewel and her fabulous blog Fabspiration. So tell us more about yourself, who is Jewel? I have become hooked on HGTV’s House Hunters International and it reinforces how much I love to travel. Secretly, I wish I were an interior decorator and can’t wait to design a place exactly how I want it. I recently got into thrifting and I am amazed at what you can find at a thrift shop. How did you get your start in blogging, why a style blog? I didn’t start blogging until early 2011 in fear of putting myself out there to the world. After much hesitation, I decided to live and go for it and I have loved it ever since. I decided to blog about my personal style because I wanted to do something fun and share a common interest with others. 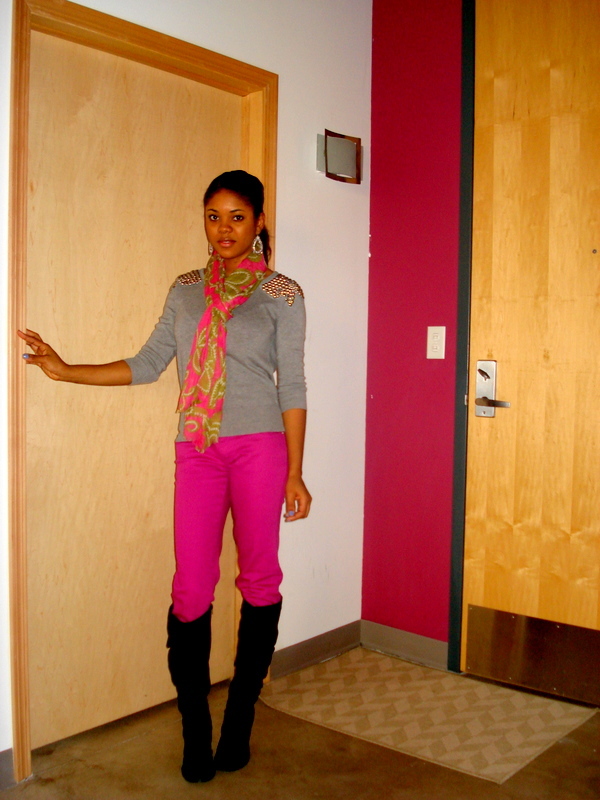 I would describe my style as colorful, bold and eccentric. Fashion for me is fun and playful. I love trends, but I make it my own. What are your top three favorite pieces in your closet? My top three favorite pieces in my closet are my Sam Edelman Lorissa and Lorna Pumps, my Rachel Roy yellow snake print wrap top and my teal and brown colored wedge I received from a friend. This Holiday season, I will be wearing skinny jeans and studded tops for an added touch of glam. Minnesota winter is too abrasive for dresses although I’d prefer to wear a dress over jeans any day..
See More of Jewel's awesome style HERE. Still looking for an awesome gift for someone special in your life? Want to try luxurious hair and skin products? Want to have soft supple skin this winter? Look no further! Just head on over to Belle Butters. 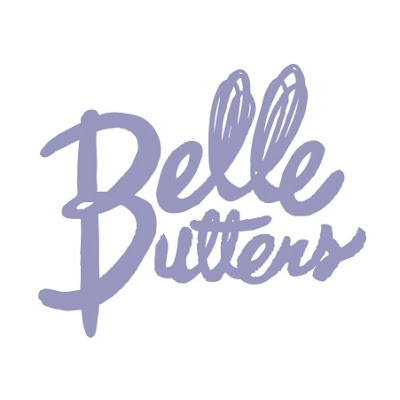 I first came across Belle Butters on Twitter as a bunch of people in my timeline were giving the products rave reviews. So I decided to check out the website and just wanted to add all that I saw to my shopping cart, everything looked so scrumptious!!! 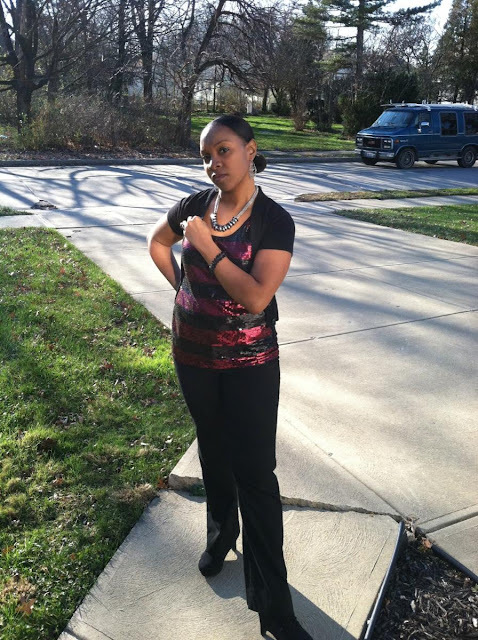 Without further adieu I would like to introduce you to Tasha Burton, the Owner and Operator of Belle Butters, LLC. 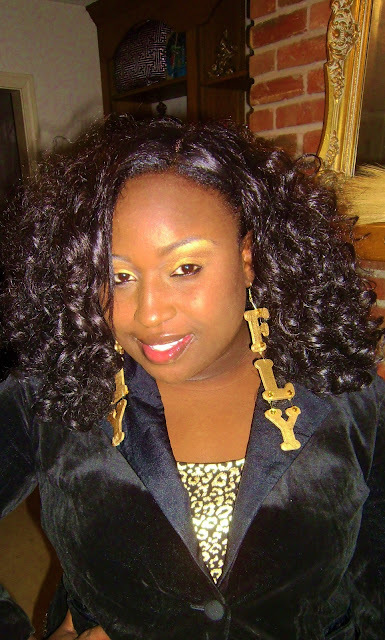 Belle Butters is a handmade hair and body care company that I started in late 2009. I was feeling complacent at work, and received many questions about what I put on my hair. Some of us have the patience to mix things up and some of us do not. So, I took this as an opportunity to supplement my income and to also challenge myself, to break up the monotony of my full-time job. I took half of my pay check to get started and gave myself 30 days to get my online shop up and running. I had my shop online and ready to go, in 28 days. What do your customers love about your products, what do you love about your products? My customers love the texture of my products. They love it because it has a very luxurious feel, as if the jar of butter should cost an upwards of $30-$50. I put a lot of research into my products and I take my time and this translates to my customers. I love receiving e-mails about how my product helped a customer with a skin issue that they've had their entire life. To think, that something I made, with my hands, helped to relieve someone of something they were suffering from. There really is nothing out there that compares to that feeling. What I love about my products, is the ability to create something different. Creation is so powerful and not having the restraints on me (i.e, someone telling me what I can/can't make) allows me to take interest in ingredients that I think most people would not consider to use on their skin. Do you have any product recommendations for first time customers? For first time customers, I usually like to start them off with my top-sellers, the Unyevu Butter and the Double Agent Butter. Both butters are very creamy, have their own unique properties and if you don't love one, you'll love the other. 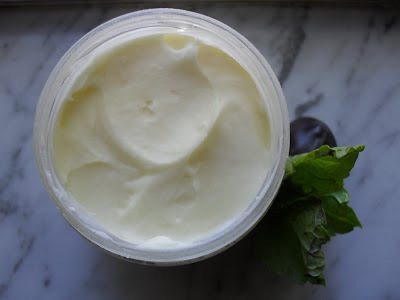 If butters aren't their thing, I suggest the Dous Te Bath & Body Oil or the Lady Belle Solid Perfume. The only thing I'd like to add, is a bit of advice for those who are afraid to start their own business or start to work for themselves, pursue their passion, etc. First, it doesn't take a lot of money. Many people feel that you need a loan or a thousand dollars to start a business, and I started it with half of my paycheck at the time, a little over $400. Letting go of your fear is also important. I learned very early on, that I cannot satisfy everyone. There is going to be someone who dislikes your work or speaks negatively about it. There isn't much you can do, but say you're sorry and keep it moving. Dwelling on the fear or negativity brings your vibrations down and directs your energy to something you can't benefit from. I'd also like to say that your age does not determine what you will achieve in life. I know for a fact, that there are many things I plan to do, besides running my business and age will not put a stop to it. Lastly, my motto from the beginning has been, do what you love until the last heartbeat. I will continue to do what I love no matter what. Society has us trained that we should retire or work for so many years and then just stop. Stopping for me, means no more creating, no more learning and I don't think I could do that. If you love something, would you just let it go? I wouldn't. Thank you Tasha! So lovelies head on over to Belle Butters to see what all the rave is about! Fierce and fabulous, those are just two of the words that come to mind when describing Venessia's style. 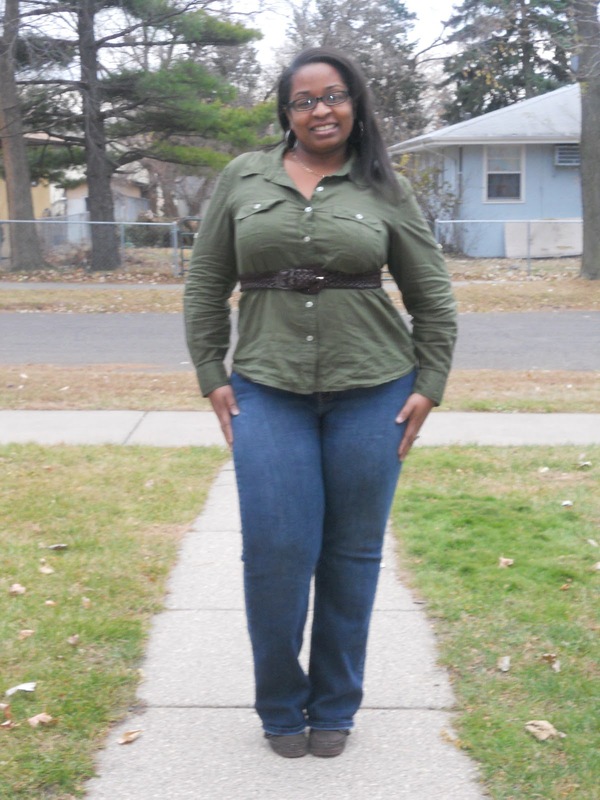 A visit to her blog Style4curves will introduce you to a woman who radiates positive energy from her posts and fabulous style from her pictures. Without further a dieu, I introduce you to the fabulous Vanessia. So tell us more about yourself, who is Vanessia? 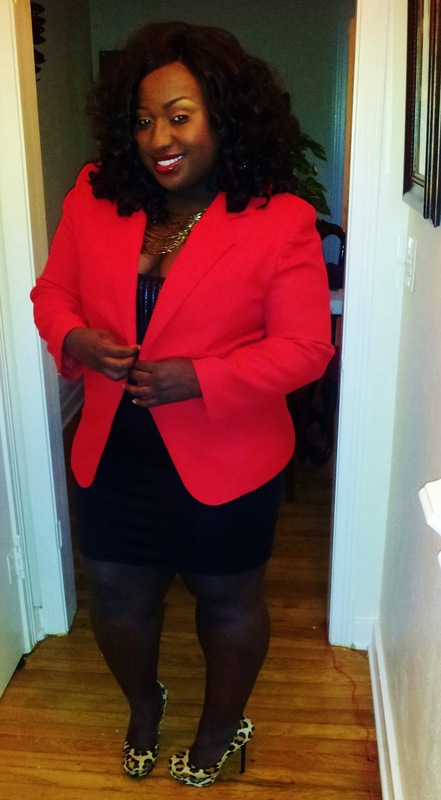 My name is Venessia Young and I am a 28 year old fashion lover born and raised in Mississippi. I am the oldest of 2 children, a Blues musician , poet, and I work in corporate America to get the bills paid. I am socially anti-social, humorous, and pretty laid back. I believe that my positive outlook on life is why I continue to attract great things and people into my circle. Why did you decide to create a style blog? I decided to create a style blog because I always got questions and facebook inboxes from friends asking for fashion advice and asking if I had a blog. 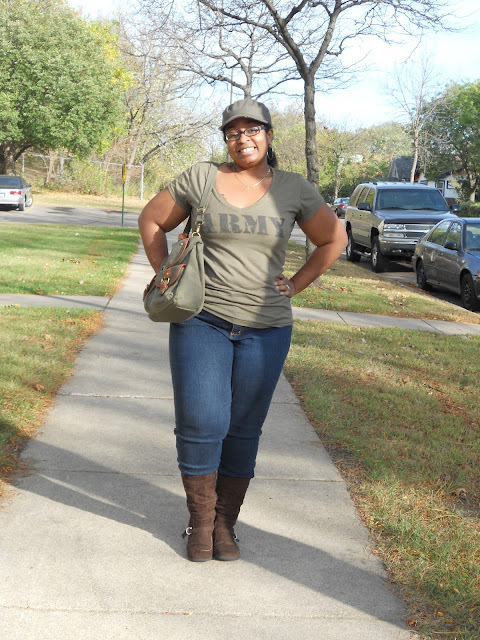 I started thinking seriously about it and decided to use blogging as a way to document my personal style journey as well as help to inspire other women with the same body type to embrace their curves and wear items that they may not have necessarily thought could work for them. I want my blog to be a place where curvy women can come and celebrate their curvy frames without all of the negativity. I have noticed that I have women of all sizes following my blog and that makes me happy because at the end of the day fashion doesn't have a size.....no matter what the label says: ROCK IT FEARLESSLY. I would describe my style as classic chic with an edge. I am all about loving your body but I know what my flaws are, I accept them, and I dress to highlight the good and camouflage the bad. I use classic pieces and make them look totally different with fab accessories. I have a plethora of shoes and custom jewelry so there is always a different twist to each of my looks that you will not see everywhere else. This holiday season I will definitely be rocking a lot of sequined looks....sequin shoes, dresses with embellishment, and sequin tops. 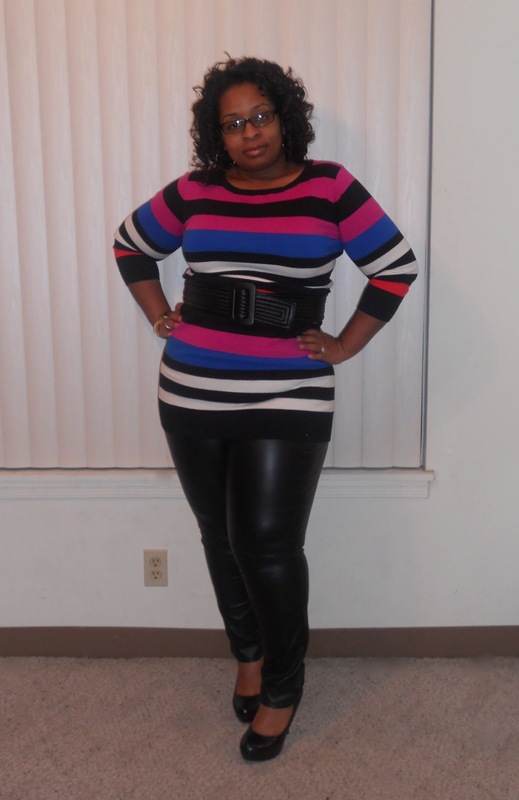 See more of Vanessia's style on her awesome blog Style4Curves. I would love to do a "holiday glam" series on the blog and I need your help :). I know this is the season of office parties, family get-togethers and a host of other fabulous events. It's also the time of year where many people pull out the glam - sequins and sparkles anyone? I would love to see and share your holiday glam. 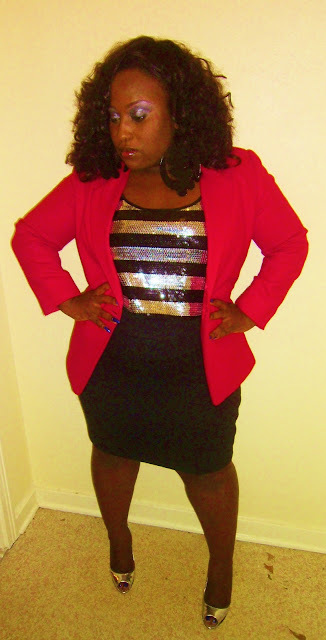 Simply submit a picture of your glam holiday look anytime between now and January 01, 2012 and I'll share it on the site. Please submit pictures to iriechic1@gmail.com. The moment I visited Kasidy's blog, The Fresh Factor, I knew I wanted to feature her. 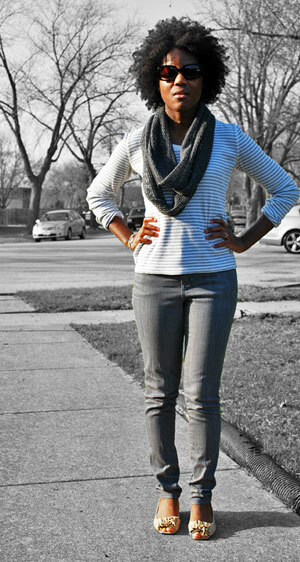 Her style is simultaneously vibrant, classy and funky, and I wanted others to see the gem of a blog I had found. Thanks so much for sharing your style with us Kasidy. Without further ado, here's the lovely Kasidy of The Fresh Factor. So tell us more about yourself, who is Kasidy? 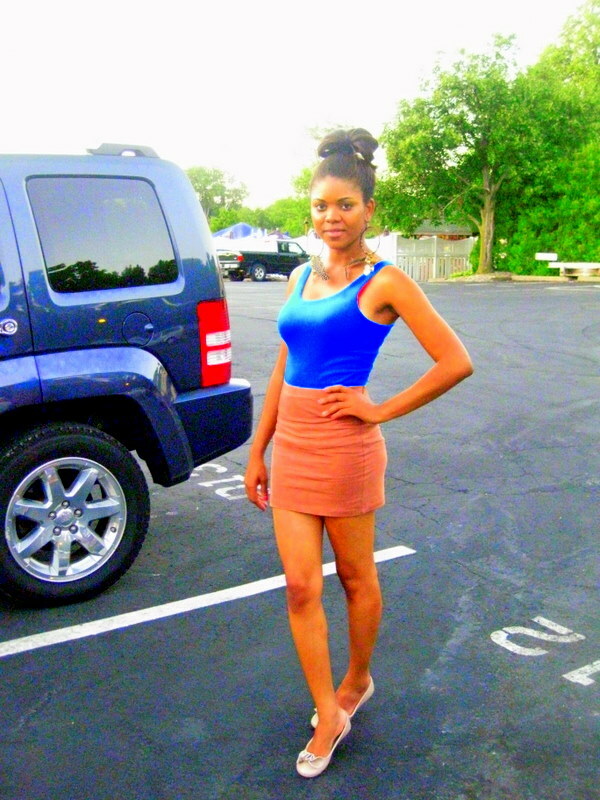 All-in-all I'm a pretty laid back chick who enjoys expression of self through all things creative. I love to sing, I act, I'm an avid salsa dancer, and a wanna-be interrior designer. I can be awkward. I laugh at my own jokes. I try to frequently engage in awesomeness. I make up words. Also, I love my three C's (cookies, cupcakes, and cheesecake) probably a little too much. I can't help myself ya'll. Well, I probably could, but I really don't want to. A friend of mine commented that she liked the things I wore and suggested I start a style blog which sounded like a fun idea! After I started it, I was a bit uncomfortable with the idea that people were coming to the site to simply look at me and my clothes. I wanted there to be a greater purpose so I incorprated something else very near to my heart, volunteerism and community service. I love that style is an outward representation of the inward you, it doesn't have to be what's trendy or expensive, it just has to be what's you! It's a fun thing to unite people through. I do a lot of thrifting and vintage shopping, but I like to put a modern or random element to things. Sometimes it can be quite classic, but I usually try to throw a little funkyness in there. I'm very much a mood driven dresser. One day I'll wear a nice vintage dress and lovely heels, and the next it will be ripped jeans and a headwrap. It just depends on the day. 1. A go-to pair of heels - I tend to like funky shoes, but I have 2 more subdued pair that go with everything. And I wear them with everything. 2. 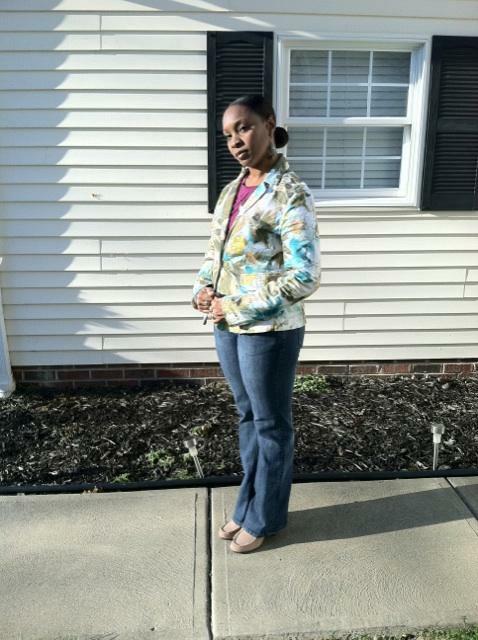 A great jacket - A great motercyle jacket can add a little edge to an outfit in an instant! Plus it keeps you warm, which is important in a place like Minnesota. 3. A fancy-shmancy coctail dress - I don't hit many parties, but it's one of those things wear you don't think about it until you need it. It's great to have a stand-by to be able to whip out just in case. Sparkles are great for the holidays. Sequin tops and sparkly jewelry is a great way bring in the holiday spirit. Also, since the average temperatre in winter is something like 16°F (which makes me think about moving every single year), a lot of heavy fabrics like wool and lots of tights! Thanks so much for this opportunity! I feel like I should say something wise here...uh...eat your veggies!